Christmas came early to Funky Dory Party Bags with the launch this month of our new Personalised Santa Sacks. 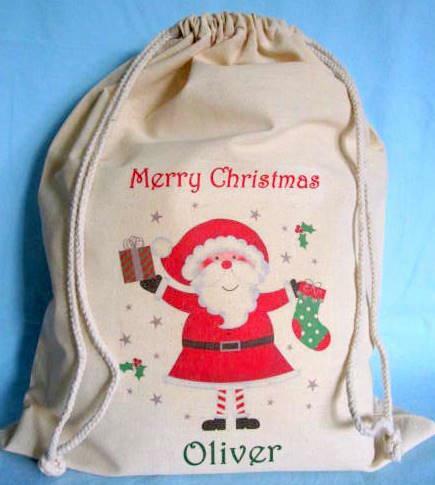 Made from unbleached cotton and printed by hand inhouse, they can be personalised with your own message and make a beautiful, eco friendly alternative to a Christmas stocking. We've already sold out twice, but have taken delivery of lots of new sacks, ready to be printed, and you still have plenty of time to get your order in on time for the big day! If you're not a big fan of Santa, you can also choose from our other festive themes - Jolly Snowman, Rocking Reindeer and Party Penguin.